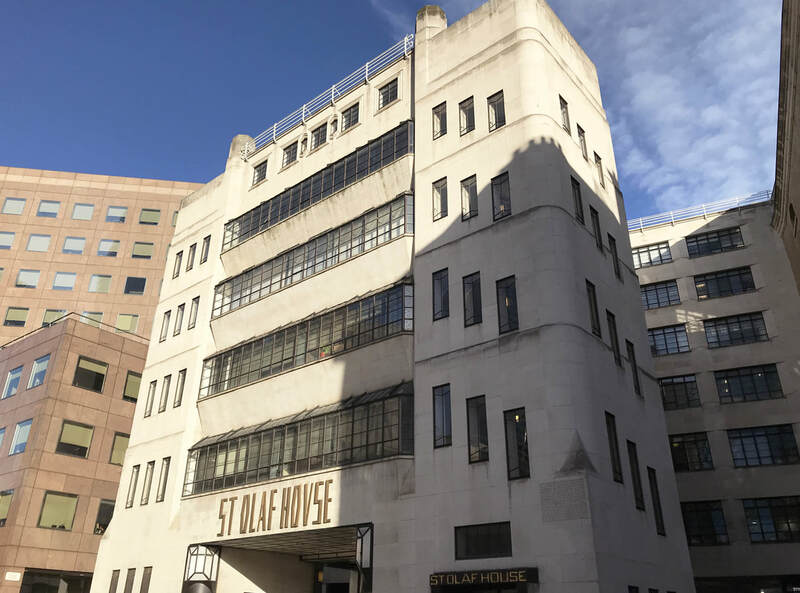 Notes: Art deco building on Tooley Street on the south side of the Thames, designed by H.S. Goodhart-Rendel as a headquarters for The Hays Wharf Company. The building is steel framed, clad with Portland stone, with gilt lettering on the street frontage and panels and mosaics by Frank Dobson.